Box and vaulted culverts industry leader in Eastern Canada. 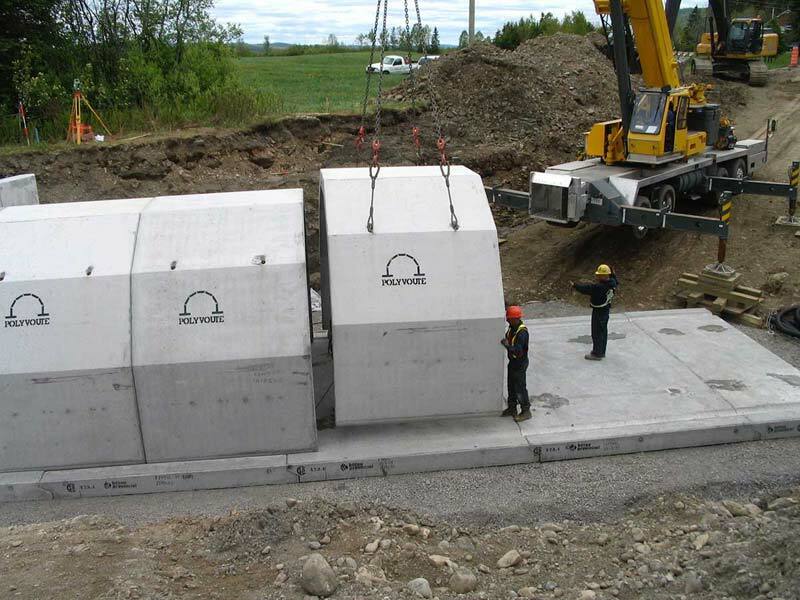 We manufacture all types of box culverts with haunch corners prescribed by the ministère des Transports, de la Mobilité durable et de l’Électrification des transports. 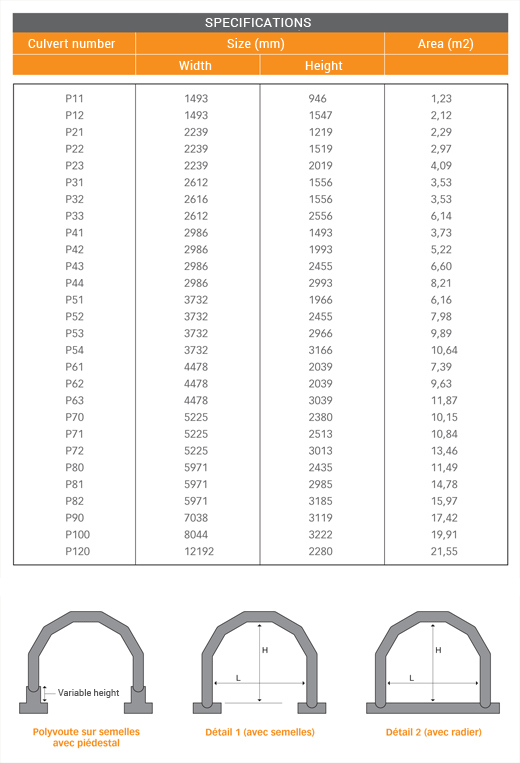 For box culverts without haunches, we have received approval to produce over 7 different sizes. Thanks to our modern infrastructure and extensive know-how, these culverts are durable, versatile, and quick to install. 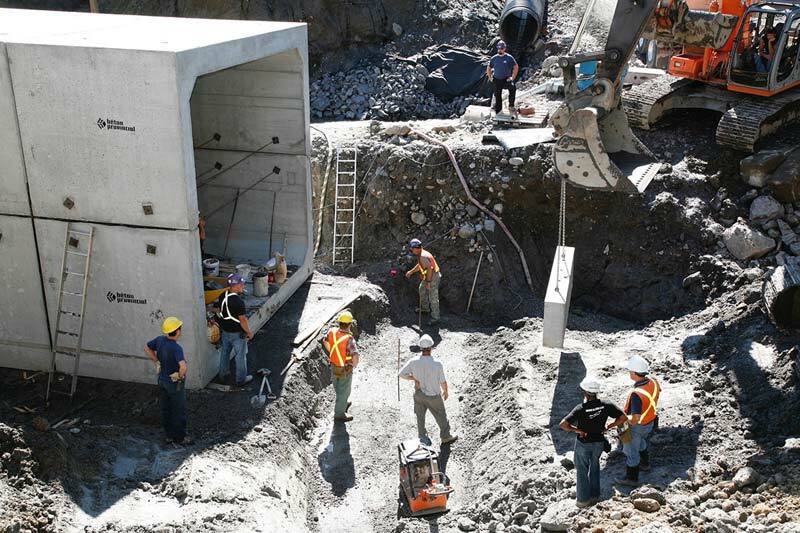 Precast concrete box culverts are used for waterflow, as well as short- and medium-term bridges and passageways. All of our precast concrete box culverts are manufactured in a controlled environment, which ensures their quality and uniformity. ALL OF OUR CULVERTS ARE MANUFACTURERED IN A CONTROLLED ENVIRONMENT TO ENSURE THEIR QUALITY AND UNIFORMITY. 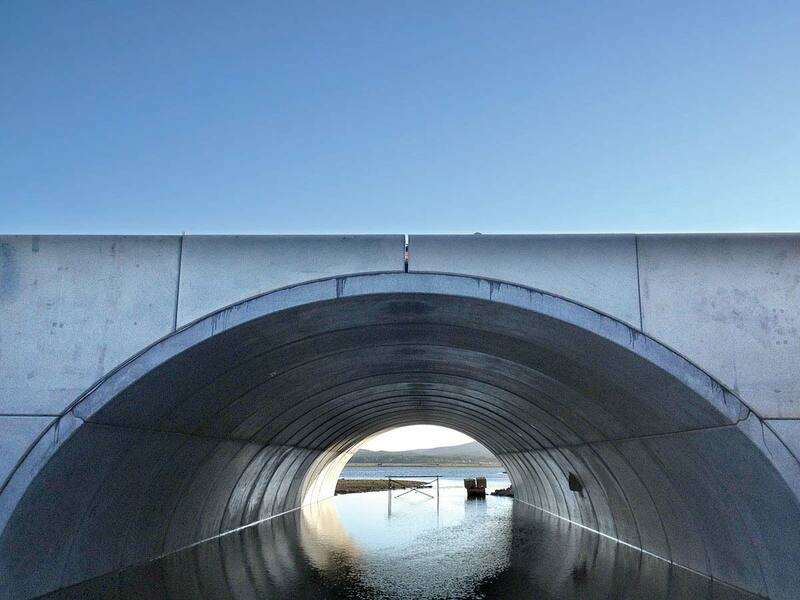 Polyvoûte culverts are precast concrete works of art that we produce in our plants in favourable conditions in order to maximize the concrete’s properties. Its original design and innovative characteristics reduce construction time and cost. Versatile, Polyvoûte allows for waterflow under bridges and can serve as a passageway (bike path, pedestrian underpass, etc.). It can also be adapted to different industrial uses, respecting all requirements. Polyvoûte is a product approved by the ministère des Transports, Mobilité durable et Électrification des transports (TMDET). environmentally friendly (maintain natural water passageway using footings). THE POLYVOÛTE’S ORIGINAL DESIGN AND INNOVATIVE CHARACTERISTICS REDUCE CONSTRUCTION TIME AND COST. 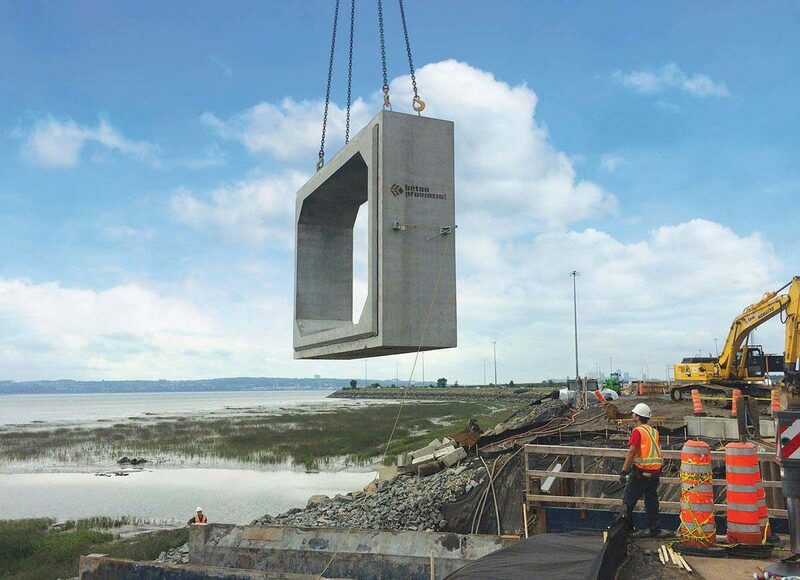 The Opti-cadre is made up of precast concrete elements, forming closed, frame-type rectangular sections, or open, gantry-type rectangular sections. four elements as above, except the column footings extend beyond the frame. 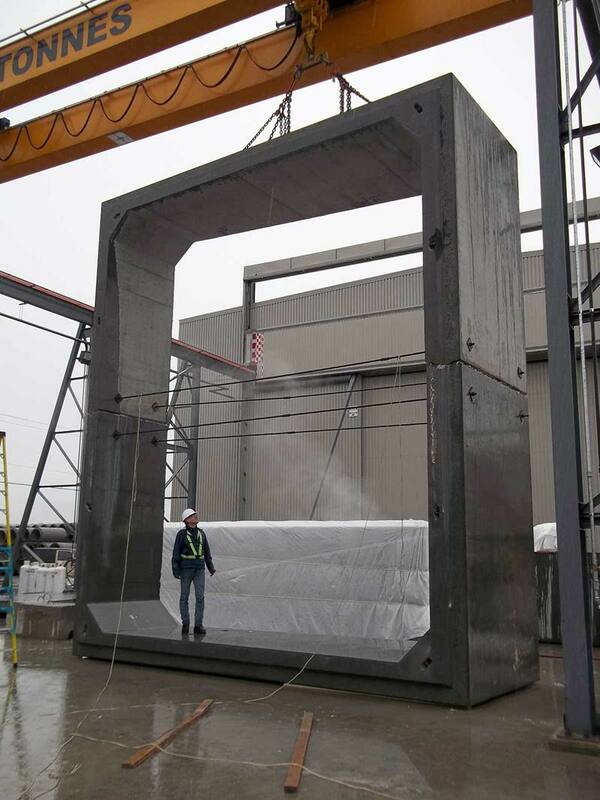 The gantry is formed by an inverted “U” element supported by precast or cast-in-place concrete footings or pedestals. 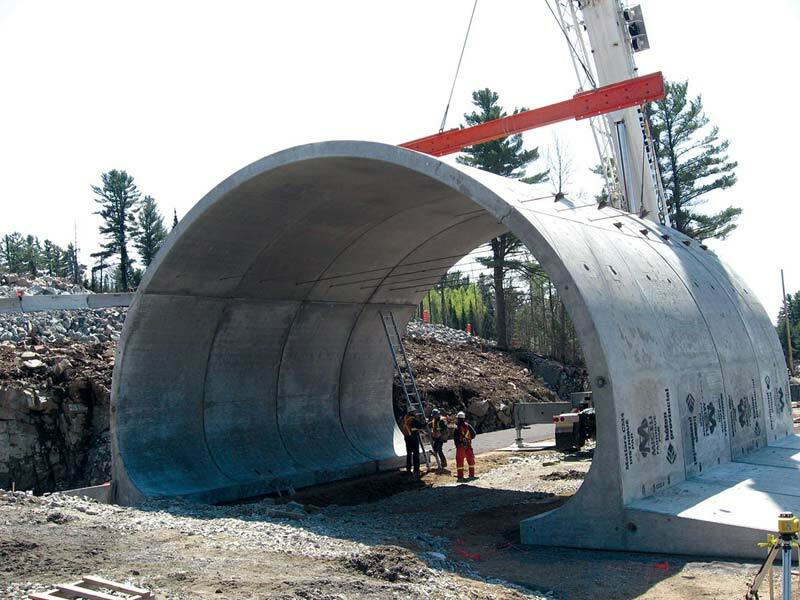 The culvert also includes precast or cast-in-place concrete headwalls. Opti-cadres are primarily used to allow the passage of waterways, roads, pedestrians and cyclists. LEARN MORE ABOUT THE OPTI-CADRE PROJECT FOR THE MARSOUI MUNICIPALITY. THE OPTI-CADRE IS USED TO BUILD VAULTED CULVERTS, CUT LONGITUDINALLY AND TRANSVERSELY. Vaulted or arched culvert technology (Matière) is used to build vaulted components with a span of 20 metres or more, cut longitudinally and transversely. For over 20 years, more than 8,000 structures have been built using this patented technology. Matière vaulted culverts are approved by the MTMDET.